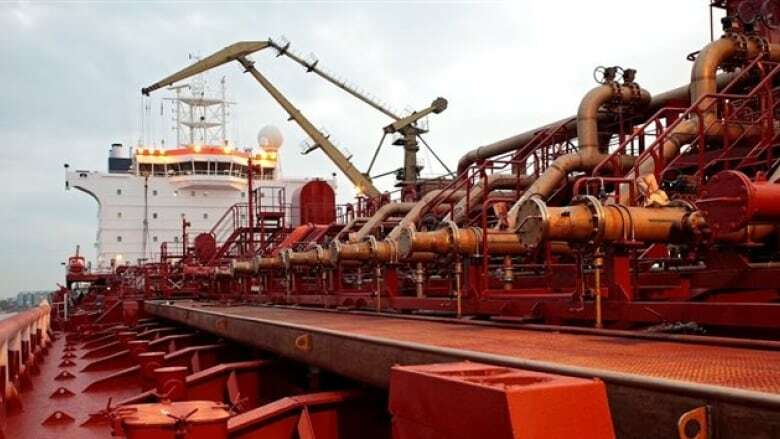 Crude oil has started to flow from east to west on Enbridge's Line 9B, with a tanker at the Port of Montreal then carrying the product toward a refinery in Lévis. Crude oil has started to flow from west to east on Enbridge's Line 9B, with a tanker ready at the Port of Montreal to carry the product toward a refinery in Lévis. 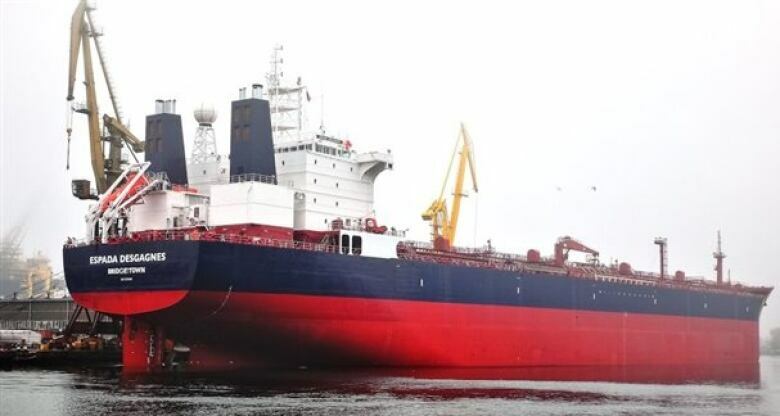 The Espada Desgagnés and another, similar tanker will make the trip between Montreal and the Valero refinery in Lévis two or three times a week, according to Radio-Canada. Up to 300,000 barrels of oil a day are expected to flow from Alberta's oil sands to Montreal's refineries. The pipeline was first built in 1976 to carry oil from Sarnia, Ont., to Montreal. The Espada Desgagnés will carry oil pumped from Alberta to Montreal along Line 9B to its final destination, at a refinery in Lévis. (Groupe Desgagnes)In 1998, the flow was reversed when foreign oil was cheap, and imports were transported from eastern ports to western refineries. But when Canadian oil prices dropped below that of imports, Enbridge asked the National Energy Board to once again change the direction of the flow. The road to approval wasn't easy for Enbridge, Canada's largest oil distributor. The project was plagued with delays and there was plenty of opposition along the way. Most of the delays were due to environmental concerns raised by municipalities on the line's path.